"This work week is going to be memorable!" Especially when someone shows up wearing an XL Burgandy Belly Bumper. 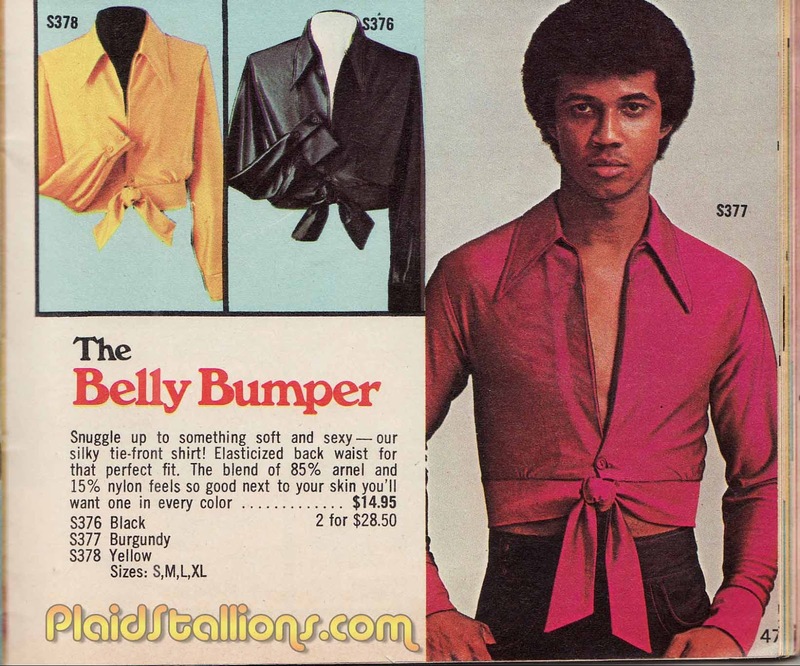 Maybe this Anon was slow on the uptake, but I finally realized this kind of clothing was all designed for the Bee Gees. Barry in particular, since the stage costumes were always keyed to him, first and foremost. Nobody else was ever supposed to wear these outfits. That's why they always come in three colours and not four or two. Three BeeGees, three colours. Case closed.